Packed with illuminating pigments and infused with hydrating hyaluronic acid, this creamy highlighter stick enhances features and brightens the look of skin for a fresh-faced glow. The non-greasy, mistake-proof formula blends effortlessly for a luminous and radiant finish, every time. Select the shade that compliments your natural skin tone: moonstone, rose gold or sandstone. Apply illuminating stick directly to skin, or tap product onto skin using your finger. Use on the areas of your face where light naturally hits: tops of cheekbones, temples, bridge of your nose and cupid’s bow. Blend outward and upward with fingers or a fluffy fan brush. Use these shimmering illuminating sticks alone or in combination with our Hydrating Foundation Sticks to highlight and add dimension. This creamy formula, infused with hydrating hyaluronic acid, leaves skin looking smooth, supple and radiant. Choose from 3 gorgeous, illuminating hues: moonstone, rose gold and sandstone. Rock a flawless “lit-from-within” glow all year round with these illuminators that enhance and brighten the look of skin. Our Hydro Boost Makeup family has grown! 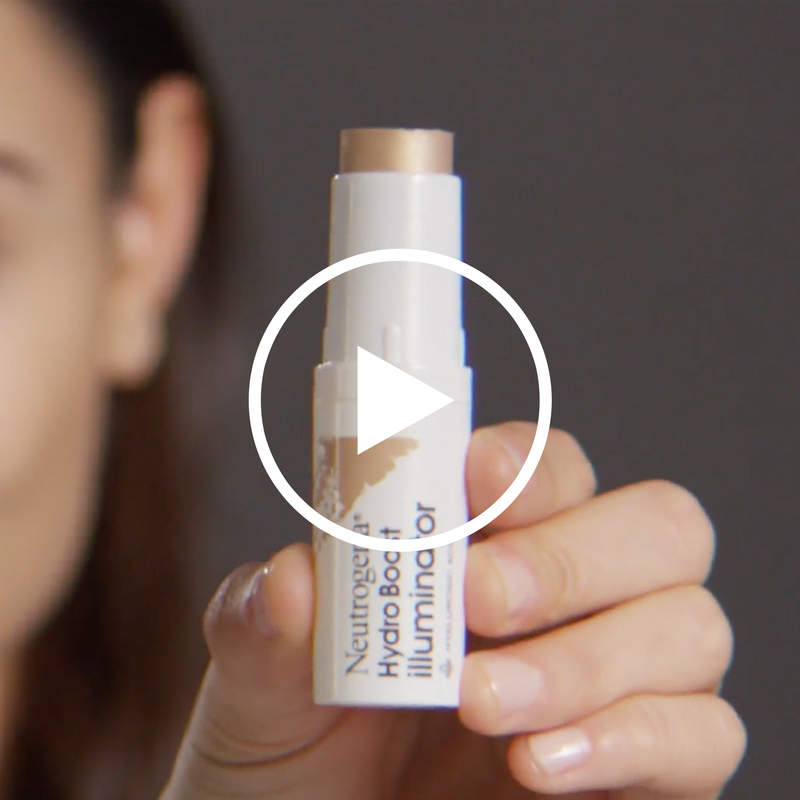 Now, add the Hydro Boost Illuminator to your makeup bag. Available in moonstone, rose gold and sandstone, this creamy formula is infused with hyaluronic acid to quench skin and create a dewy, luminous glow.